The year 2003 is quite possibly one of the most outstanding recent years for film. It truly ran the gamut from brilliant pieces to some of the worst movies ever made (Gili). I like to believe that the good heavily out weighed the bad. It saw film makers veer from their comfort zone and others come of age and produce personal masterpieces. Oscar went home with Peter Jackson and had a sweeping night in honor of Lord of the Ring: Return of the King, the conclusion to Peter Jackson’s epic trilogy. The Academy had an array of films of every type from the big budget blockbuster to smallest of well acted independent films. Clint Eastwood produced and directed another masterful notch on his belt with a film based on Dennis Lehane’s wonderful novel that struck terror in every parent who read and/or saw the movie. We saw the return of Quentin Tarantino and in a classic and brilliant way with Kill Bill Vol. 1. There are numerous other films that we could mention and summarize but we will have to cut that short as it could be a series of articles on it’s own. Let’s examine the other fine fine films nominated for 2003 awards handed out in 2004. First is Clint Eastwood’s Mystic River. With strong characters and every actor in the movie at the top of their game, including best actor and best supporting actor winners, Sean Penn and Tim Robbins. The movie, aside from it’s numerous nominations and wins hit it’s audience right between the eyes with scenes like the one in which Sean Penn discovers the victim of tragic events is his daughter. That very scene will without question go down in American cinematic history. Second on the nominations list is second generation film maker, the daughter of the almost mythic Francis Ford-Coppola, and her pitch perfect opus, Lost In Translation. Bill Murray showing that comedy can be a work of art as much as any work of fine drama. The world also had a new household name in Scarlett Johansson even though she was a long time movie veteran. Coppola made us think maybe great art is hereditary. Next is, once again, the token UK film, Master and Commander: The Far Side of the World. With standard British acting from Russell Crowe and Paul Bettany, it featured big high seas battles and wonderful cinematography and costume design. The trouble with Master and Commander is it appealed to a very limited audience which was mainly older males with a love of time period movies. Finally is the very sentimental but well made Seabiscuit about an underdog race horse and his unlikely jockey that captured the hearts of America during the great depression just when an underdog hero was what everyone needed to believe in and provide escape from the daily troubles 90% of americans were dealing with. With great acting from the previous years best supporting actor, Chris Cooper, Tobey McGuire and Hollywood main stay Jeff Bridges. As we know not every movie can be nominated for, let alone win the best picture of the year. This had to be a most difficult year for those filling out nomination and winner ballots. It was a very very strong year for independent movies with such great movies as Joel Shumacher’s Veronica Guerin along with The House of Sand and Fog, Pieces of April, Thirteen, Kill Bill Vol.1, Monster (for which Charlize Theron won best actress), The Station Agent and 21 Grams. One film void of any nominations possibly because it may have been too commercial or even controversial was Kevin Spacey and Kate Winslet in The Life of David Gale. A strong movie dealing with the sensitive topic of the death penalty with several twists at the end and even though it’s a surprise ending you know somewhat of a surprise is coming. It featured one of Laura Linney’s great performances and Spacey and Winslet weren’t half bad either. Kevin Costner went back behind the camera and directed himself and the screen legend Robert Duvall in the western Open Range. A very underrated western and overall movie in itself. While not a deep story, it was still a realistic look at a small mining town and told a story that feels like it’s one that may have happened all too often during a pivotal time in America’s development. 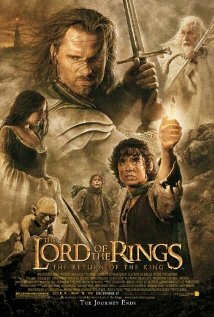 With a look at all these movies and as have previously been stated in this series of articles, The Lord of the Rings took home the prize as an honor to the three films as a whole. It wasn’t the best of the three films but was a very necessary part of the overall story as was as well made as the two previous. Using the criteria stated earlier in my articles, I believe the strongest picture the most moving and emotional with the best directing and performances was Mystic River. It’s a movie that many will see and think that it won best picture and will then be surprised that it didn’t. Clint Eastwood will again make in appearance in this series of reviews as you will see but until then let the debating begin! 2003 Best Picture of the Year? I continue my look at the best pictures of the last 10 years, and whether or not they were deserved or not. We have arrived at year 2002 with awards handed out in 2003. Oscar’s best picture prize was handed to the film version of the long running Broadway musical, “Chicago”. Directed by Rob Marshall and Starring Richard Gere, Catherine Zeta-Jones, Renee Zellweger and Queen Latifah, Chicago featured extremely well choreographed lavish musical numbers. Based on the Broadway musical written by the legendary Bob Fosse it was the best of the recent resurrection of the movie musical, no doubt, but was it the best picture? I subscribe to the thought that a great movie hits you between the eyes and leaves you stunned and heavy with thought, be it with reality or you are so enraptured in the story that you just can’t shake it once the movie is over. A great movie has performances so outstanding that you feel as if you are part of that persons life and are joining them at this specific moment of their life. With this criteria in mind, let’s examine 2002’s best films. As usual we will begin by looking at the fellow nominees for best picture along with Chicago. First on the list, is the second installment of Peter Jackson’s Lord of the Rings trilogy, The Two Towers. Perhaps the finest of the 3 films with the most captivating segment of Tolkien’s story. Featuring truly epic battle scenes and more insight into the characters with great development and heart. The continuation of Frodo’s journey once again came up short on awards night. The second of the nominees was Martin Scorsese’s brutal look at the birth of New York City and it’s five points. With outstanding performances from Leonardo DiCaprio and the genius Daniel Day-Lewis, it has been called Scorsese’s ultimate NYC movie and showed the brutality and violence that made NYC the metropolis of the world that it has become, delving into it’s dirty politics and hatred of the immigrants it now holds dear. Gangs Of New York would be shut out of all major category winners and once again leave Marty still seeking Oscars gold. Next up brought us the return of Hollywood and America’s most famous outcast, Roman Polanski, and return he did. His film The Pianist examined the true story of a talented piano playing polish Jew on the run from the Nazi invasion. With a once in career performance from much deserved Academy Award winner Adrien Brody (who has yet to even sniff as good a role or performance) Polanski deservedly was awarded best director that night. Finally we have The Hours which is the true story of Virginia Woolf as she writes her famous book Mrs. Dalloway. This movie proved to be Nicole Kidman’s finest hour as she was given Oscar that night for her portrayal of Virginia Woolf. With many other numerous nominations and a beautifully shot and directed movie, it at the same time had a small audience of those who truly loved the film. Now for what was left off the nominee list. Three films really come to mind and all of the hail from the independent film scene. First is one of two films written by the immensely talented Charlie Kaufman (Being John Malckavich) and that was the bizarre twisting Adaptation which featured the Oscar winner for best supporting actor, long time character actor Chris Cooper. 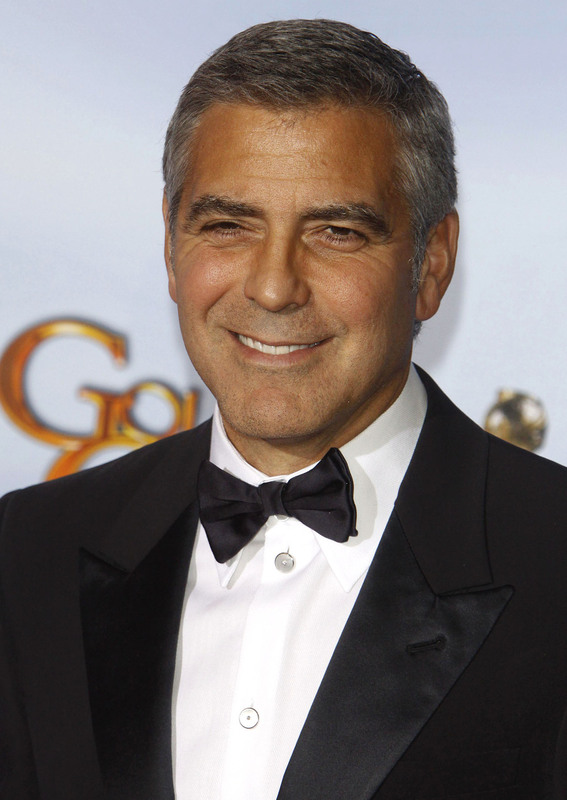 The second Kaufman film also featured the directorial debut of George Clooney, Confessions of a Dangerous Mind, which also had one of the most underrated performances of the year in Sam Rockwell as the eccentric and often extreme Chuck Barris. Finally is a movie about the age old topic of infidelity with the sitcom star Jennifer Anniston growing up and developing into a premiere actress before our eyes in The Good Girl. While all deserving their honorable mention in the discussion for best picture non of these three truly were the BEST picture of the year. So that leaves us with those nominated films and while you can make a strong argument for them all it was clearly between Gangs of New York, The Pianist and of course the winner Chicago. While Chicago was visually stimulating and well made and extremely entertaining, based on this series criteria, the two best were The Pianist and Gangs of New York. Two evenly masterfully made movies but the movie that will transcend time and condition is The Pianist. It’s story of the greatness to survive and still love is something everyone can find with in themselves. It has the human spirit come thru and infect everyone who experienced this movie. Well let the debating begin and look for the next article featuring the films of 2003 awarded in 2004. I begin my examination of, whether or not, the best picture of the year Oscar went to the right movie, 10 years ago with movies made in 2001 and awards handed out in 2002. It’s the year that started the epic Lord of the Rings trilogy, saw acclaimed director Ron Howard bring him his first statue, proved that Will Smith has the chops and isn’t just a rapping sitcom star, introduced us to the incredible talent that is Christopher Nolan and showed that Heath Ledger was a force we would not soon forget. 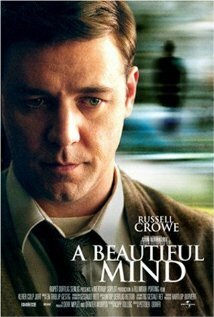 Let’s begin with a look at what actually won Oscar’s gold, Ron Howard and Brian Grazer’s, A Beautiful Mind. Let’s make no mistake, this was and still is Ron Howard’s pinnacle and the best movie of his career. Russell Crowe delivered an all-time performance and quite frankly could have/should have won his second straight best actor award, but, due to the fact that it’s only been won twice in a row by two of Hollywood’s all time “good guys”, and Crowe doesn’t exactly play by the rules and his fellow nominee IS one of those good guys and didn’t have a best actor in his mantle case yet, naturally it went the way of the more, game friendly, Denzel Washington for Training Day. Opposite Crowe was a veteran actress without much previous clout who absolutely blew the doors off her performance and, as they say in sports commentary, put on an acting clinic. Her much deserved Oscar and performance tends to be one of the more forgotten and under appreciated performances in recent memory. The true and heart breaking and warming story of A Beautiful Mind and it’s principle, John Nash, is one that was little known of the Nobel Prize winner in the field of economics and his struggle with paranoid schizophrenia. Beautifully shot and a story told with perfect flow and rhythm as if he were conducting a symphony. But was it the “Best Picture” of the year? To better answer that question first let’s look at it’s fellow nominees. The movies are as follows: Gosford Park directed by the legendary Robert Altman. The powerful family struggle piece, In the Bedroom. Peter Jackson’s epic The Lord of the Rings:Fellowship of the Ring. And the lavish and musical, Moulin Rouge. In this writers opinion the only competition that A Beautiful Mind amongst it’s nominees was, In the Bedroom. It featured incredible acting performances by all it’s main principles, including an unknown among casual movie goers named Jeremy Renner who would invade the screen again in the intense and, to be discussed, Hurt Locker. Gosford Park was the annual token British, well acted and seldom seen film. Featuring very fine performances by all including the lone American, Ryan Phillipe. But the movie failed to grab and awe it’s audience like a true movie of the year winner, let alone nominee, should. Peter Jackson’s LOTR was a beautifully shot and true epic adventure film. It brought to life one of the most beloved stories of all time, like never before. The film is the first of a trilogy which was all shot in succession, thus leading the academy to wait and judge the three films as a whole before giving it such a coveted award as we will see in future articles. Baz Luhrman’s Moulin Rouge was an extreme and ornate musical which has been told multiple times since the begining of film. It’s lavish musical numbers and unique style of story telling is what drew the attention of the academy. In the end it’s not a film you ever hear someone say was their all time favorite, or even in their top 5 for that matter. It appealed to intelligent mature teenage girls and was unique it’s light but not Picture of the Year. Now for the overlooked and not even nominated pictures. Thats not to say that they received zero acknowledgement, some were recognized by a single acting nomination or writing but some were completely overlooked on the academies part. Of these films one of the first that jumps out to me was “Ali”, starring Will Smith as the famed boxer and Jon Voight as his longtime friend legendary sportscaster Howard Cosell. Two Dynamite performances and a terrifically told story of Ali’s early career and fight for religious freedom. Well directed by Michael Mann, it may have at times felt like an homage to Ali rather than telling the straight story and may have left out key elements but a fine film non the less. Also to be noted was the movie Memento which truly introduced the world to Christopher Nolan and his very sharp film making talents, as the world would later come to love as he reintroduced the Batman franchise in a fresh and entirely new light. The films main principle, Leonard superbly acted by indie favorite, Guy Pearce who you may remember from L.A. Confidential. It’s unparalleled story of a man with a limited memory condition is told in reverse and forces the audience to truly pay attention and think for themselves. It was truly a once in a lifetime story. While maybe not picture of the year it at least deserved to be in the discussion, thank goodness for the Independent Spirit Awards. Next in our countdown is Ridley Scott’s intense war time thriller, Black Hawk Down. A movie that left you sweating every second you were in your seat. Not just a summer time blockbuster but a masterfully directed film. 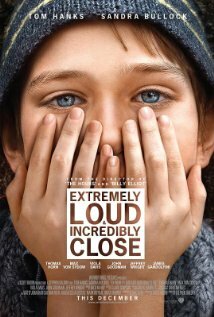 If you weren’t grossly immersed in this movie from the word “go” you may need your pulse checked. Last but most definitely not least is Monster’s Ball which brought a delighted Halle Berry her first Oscar but will forever be remembered at the movie that turned Heath Ledger from hunky heart throb amongst teens, to a force in the acting community. He showed what the world would be in for and how movie fans and fans of the art of acting would lose all too soon but not before he left his indelible mark on the craft. When it’s all said and done, while you could make a case for all the previous movies mentioned, it’s safe to say Oscar went home with the right name on the base of his stand. It may have been a little bit of an honorary moment for Ron Howard and his body of work, but it was no less than deserved as it was done at the right time for him and with the right picture. So let the comments roll in and let the debating begin!! Was It The Best Picture? While I love the Academy Awards, Im not blind to the fact that they are very politically driven and not always, in fact maybe rarely does the best in each category win. It’s a contest and the best end product isn’t always what determines the one who goes home with Oscar. A prime example is the 1998 awards (for movies made in 1997), the run away at the awards was Titanic. While a fine movie, it wasn’t the best overall picture that year and as time has passed Titanic has almost become a target of comedy and more mythically good than it actually was. Some may argue that the best film was Good Will Hunting which, as time has passed has become bigger and more celebrated and launched two careers not unlike Titanic did for it’s two principle stars. My next few articles will examine the last 10 years of Oscars gold and weather or not he went home with the truly best picture of that year. We will explore the art of film making and the performances that went into the truly, best pictures of the year. Keep in mind I take nothing away from the winner because before all the campaigning and politicking that goes into the voting of the awards, the first qualifying criteria for a nomination, let alone a win, is that it must truly be a great film and well made film at that. So keep following me and feel free to add your comments to my thoughts because we all have our favorites! Award season is in full swing and there are movies honored and movies overlooked and movies that have been shunned outright. The same goes for performances. In situations like this it becomes obvious that, like it or not, the Golden Globes have the correct approach in having separate comedy and drama categories. This allows movies that deserve the honor of at least a nomination to be recognized. As the Oscars approach the coveted best picture category seems to be a three horse race with “The Artist” leading the way. Although it appears that “The Help” is coming on strong just at the right time with wins at the SAG awards and Producer Guild awards. “The Descendants”, Alexander Payne’s second masterpiece (the first being “Sideways”) is just as much a contender as the first two. A few noticeable pictures missing from the nomination list include the powerful behind-the-scenes political drama “The Ides of March” who’s outstanding ensemble cast delivers a fast paced, twist-a-minute thriller. Also missing is the funny and at times gut wrenchingly real “50/50” which features a wonderful performance by Joseph Gordon-Levitt. “50/50” also is sadly missing from the original screenplay category for Will Reiser who wrote the script after his own battle with cancer. The best actor category is a strong war between a true classic form of comedic acting: Jean Dujardin stars in the Artist as a 1920’s silent film star and a pitch perfect performance by Hollywood’s true heavyweight and probably most liked guy, George Clooney, in The Descendants. Noticeably left out is the actor who seems to be this generation’s Peter O’Toole – Leonardo DiCaprio for his portrayal of former FBI director J. Edgar Hoover. Much like the best actor category, the best actress Oscar is a dead heat between two powerhouse women. Meryl Streep is once again a nominee, which seems to become a yearly forgone conclusion. She is up for her performance as former prime minister Margaret Thatcher. Her counterpart, Viola Davis, is nominated for her knockdown, brilliant role in “The Help” where she portrays a full time maid in the deep segregated south in the early 1960’s. While the Academy Awards tends to be one big popularity contest, they do bring to light movies and performances that may otherwise go unnoticed. We discover new actors and actresses that tend to bring something new to the screen and the art of storytelling. The nomination is what tends to be the real reward and although only one can win, the career and life of all will be forever changed.